Upgraded aerodynamics and powertrain will help the new Insight hybrid compete with the Prius and Leaf in 2012. Honda has announced that they will be bringing an upgraded version of their 2012 Honda Insight hybrid to the Frankfurt Auto Show. The new Insight will feature a more efficient powertrain that produces scant CO2 emissions compared to previous models. 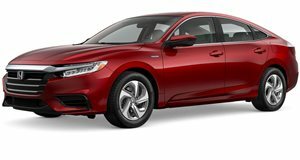 The Insight hybrid gains some aerodynamic styling and will also carry an upgraded air conditioning system, cooling system for the motor and a Continuos Variable Transmission. The car will emit 96g/km of CO2. A new front grille, rear taillight and spoiler will give the Insight better visibility. The 2012 Honda Insight hybrid will make its debut at the 2011 Frankfurt International Auto Show in a few weeks and compete directly with the Nissan Leaf and Toyota Prius.